In the American Revolutionary War, the Flying Camp was a military formation employed by the Americans in the second half of 1776. The men recruited for the Flying Camp were to be militiamen from three colonies: 6000 from Pennsylvania, 3400 from Maryland, and 600 from Delaware. They were to serve until December 1, 1776, unless discharged sooner by Congress, and to be paid and fed in the same manner as regular soldiers of the Continental Army. Congress appropriated $38,500 (in Spanish Dollars at 7s 6d [shillings and pence] per paper Continental dollar) for the Regiments’ support. The pay rate per month was dictated by Congress: Colonel 450s, Lt. Colonel 400s, Major 350s, Captains 300s, Lieutenants 200s, Ensigns 160s, Sergeants 90s, Corporals 60s, and Privates 50s. Mounted dragoons, artillerymen, and militia serving outside their state received a 2s 6d bonus. The Flying Camp was an early and short-lived experiment with the concept of Extra Continental regiments, a “national” rather than a “confederate” force, which was to be distinct as having formed without any administrative connection to any individual state. 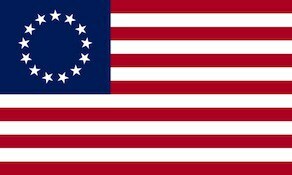 Sixteen additional Continental regiments were approved by Congress as a separate group on December 27, 1776, specifically in response to a request from Washington for more troops other than mere militia, and Congress expressly delegated the formation of these regulars directly to him. All Additional Continental regiments were organized in the spring and summer of 1777. In contrast to both the Extra and Additional regiments, all other infantry regiments of the army were organized and supported under the direct authority of individual state governments.